Jack Jones is a Professor Emeritus of Nipissing University. After teaching for nearly 20 years at Canadian Forces Base North Bay, Jones joined Nipissing University College's Faculty of Education in 1984. As International Liaison Officer, he was heavily involved in teacher education projects in the Caribbean islands of Anguilla and Montserrat in the late 1980s and the 1990s. Jones retired in 2000 and was designated a Professor Emeritus of Nipissing University in 2012. Fonds documents Jack Jones' involvement in a series of teacher education projects in Anguilla and Montserrat that Nipissing University conducted with partners including the ministries of education of Anguilla and Montserrat, the Association of Universities and Colleges of Canada (AUCC), and the Canadian International Development Agency (CIDA). Responding to a lack of professional development opportunities for teachers in the Caribbean islands of Anguilla and Montserrat, the early projects provided teacher training workshops while later projects aimed to establish on-site teacher training processes in cooperation with the University of the West Indies. Jones played various roles in the projects, acting as an instructor, international liaison officer, and project director. Some files are restricted. Please see lower level descriptions for more details. 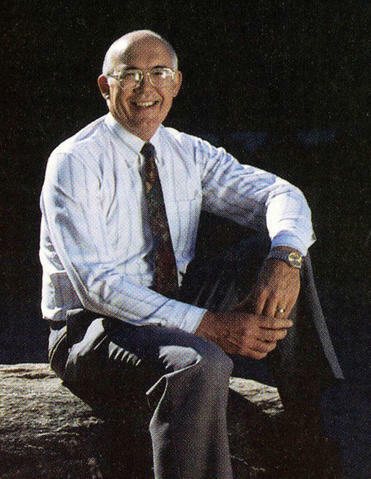 The photograph linked to this description is a detail of a portrait of Jack Jones that was published in a Nipissing Review article entitled "Award highlights alumni achievements" (Fall 2000, page 26).